Even though I tend to wear lighter makeup in the summer, I was itching to put my smokey palette to use today. Just to make the depotting effort worthwhile, I made a point to use shadows from every different source in this look! I used Barlust from Urban Decay’s Smoked palette all over my lid and blended out into my crease, Bust from the Sephora/Urban Decay gift set patted onto the centre of my lid, and a bit of Make Up Store’s Minimalism in my outer V for that purple tinge. 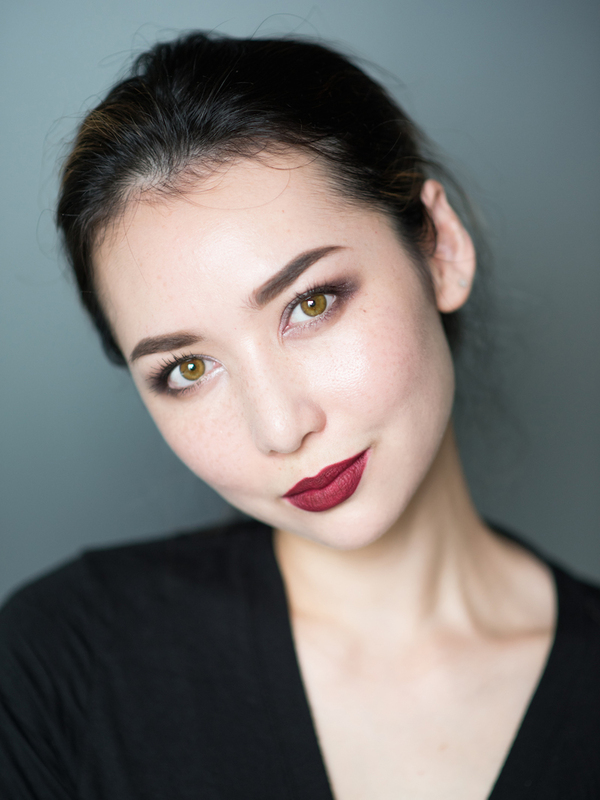 I skipped eyeliner altogether and weighted the look with a dark lip instead. 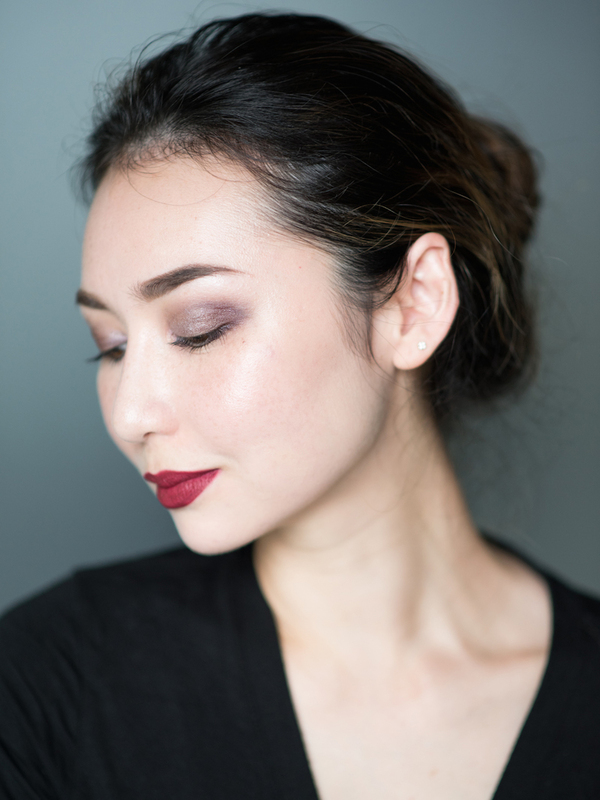 MAC Diva is probably my favourite deep red – I really need to remember to take it with me to LA and wear the heck out of it this fall. 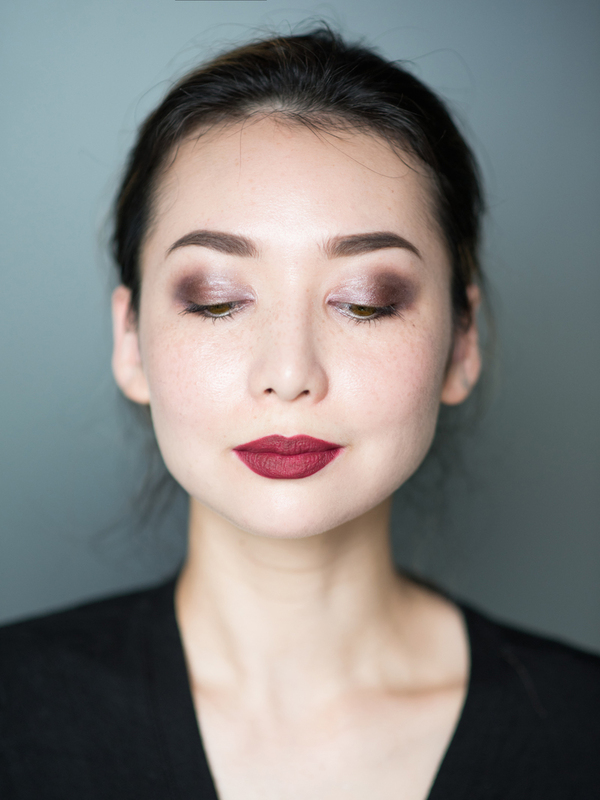 I absolutely love the slightly purple eye with that dark red lip! I also love how you are able to capture your highlighting in your pictures. I find that super difficult! Lovely!